Nothing more than a speck, I’m. Anything that is credited (and will be credited) to my name, doesn’t belong to me. In fact, it’s all on the part of the One, Who is the Creator not only of me, not only of your rather of the entire humanity, the entire universe, Almighty Allah. You are heartily welcomed to my blog. I’m a freelance writer and a student of Chartered Accountancy. Alhamdulilah, my pen has dropped lines on a variety of topics pertaining to society, youth, women, humour, politics, sports, culture, tradition, and historical monuments etcetera. I’m a regular contributor to different newspapers and magazines in Pakistan. I’ve served Punjab College of Commerce, one of the biggest institutes of commerce studies in Asia, as Co-Editor of its college magazine “Auj”. 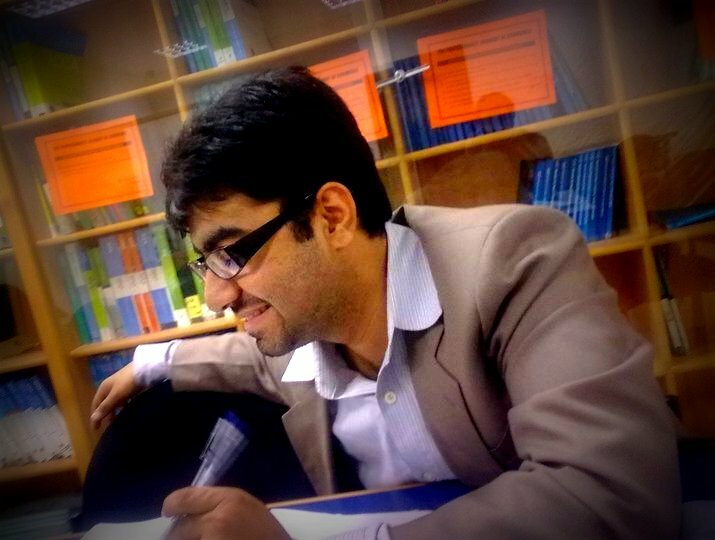 Currently, I’m serving PAC (Professional Academy of Commerce) as Editor of college magazine, “Al-Haseeb”. Besides, I love observing human behaviour. In this context, I host an online program, “Farishtoon sy Behtar hai Insaan hona”, a heart to heart discussion series organised by Revolution Flame (http://revolutionflame.com/category/heart2heart/). Unveiling the significance and purpose of writing, I think, writing is the best way to explore yourself and to mend your society silently. Extremely impressed with Jack Dann’s saying “For me, writing is exploration; and most of the time, I’m surprised where the journey takes me”, I believe this journey discovers new horizons for you on every turn. Writing is the most sensitive field. Whatever one articulates, directly affects the mindset and notions of a reader. Media (whether print or electronic) can bring a revolution. That’s why I am inclined to direct my pen towards thought provoking issues, in a manner which may not divert the attention of the readers or make them tiresome. That’s a handful of achievements on your draft =) Nice to know about you. aap to pehle he mujhe apni seher angaiz shakhsiyat se apna garveeda bana chukay hain. aap k khayalat ka dilchasp izhaar, pur kashish andaaz e bayan, aur iss sub mein aik mubham shokhi aur chanchalpan, yehe wo sifaaaat hain jo mujhe aap ki tehreerain perhne per uksaaati hain. ALLAH aap ki iss duniya e qalam bandi ko chaar chand lagaye, aur aaap aasman ki bulandiyan choo jaaeen. na sirf aalam e faani mein, bul k aalam e BAAQI mein bhi aap ka izzat o waqar baaqi rahay. issi dua k saath k aap apne waldain ki ankho ki thandak banain, ijaazat chahun ga.
jab mein kissi khubsurat o dilkash manzer ki taareeef kerta hun to uss mein mubham ALLAH ki tareef bhi hoti hai. Aur jab bhi kabhi mujhay depression ya underestimation feel hoti hai to main yaad karta hoon k FD Sheikh jaisay log mujhay apna time daitay hain aur is kaabil samajhtay hain k main un k kisi kaam aa sakoon. Phir meri saari depression door ho jaati hai. SubhanAllah..subhanAllah!Kya nazreia hai! Wo kehty hain na k insan ka chalna phirna, uthna baithna, bolna ya khamosh rehna, in sub main b Allah ke Ebadat ka pehlo posheda hai… uski behtreen misal hai ya jumla. I simply want to say. Allah tala bless u more. i want to tell u one thing that u really got power to convey ur message to others through ur words. JazakAllah, Khalid. It’s all on the part of Almighty Allah. We human beings are simply nothing. Thanks for the profound praise. i m serving humanity from 1974 through placing aalam – e – laahot in the right form without charge.after 36 years god gave me a formula intuitively. and now i m serving world through this unique composition. i m surfing net and seen ur blog u r really a gud writer . and u r doing for humanity . u r proud of humanity. i salutes u .
wow ……. I must say your intro is very impressive !!! thank you. All on the part of Almighty Allah. Thank you for your generous words Fahad. I’m humbled. Thank you so much Kaka Shehu Imam. JazakAllah. It is all on the part of Almighty Allah. JazakAllah for your wishes. I’m pleased to see your comments, specially. God bless you. jo gahak ho pholon jysa.. Thank you Sarwat. I am humbled. All on the part of Allah! Thats right, can you tell please how you derivated this belief? Is it as you were taught or you came to it after your personal experience? I’ll associate it with the following piece of writing. Please give it a read in your free time. Hope this would answer your query precisely. We even can not ensure our next breath then what to be proud of! Come on….so I just found a nice blog, and I fathom I saw you on Rev Flame too. I guess the very-small-number-of Pakistanis on Wp are also on REv Flame, and now I joined it too. Still in the learning process if I did the right thing or not. Thank you for your profound feedback White Pearl. :) It’s all on the part of Almighty Allah, we individually, as you have mentioned in your about me, are nothing more than a speck. I have been looking for Pakistani blogs. I am gad to have found this one. Thank you for kind words. Will keep sharing mine and will be glad to read your work as well.